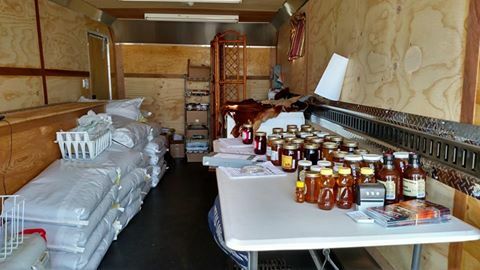 Local Honey, various fruit jams, and canned goods that are made special for the Farmers Markets, & "TOTAL EQUINE" Feed. Sep 28th- 4:00 p.m. until sunset. ALTUS New Spot same parking lot... now between Walgreen's and the old Sears Store on the main drag. Oct 13th - Sayre ROUTE 66 FARMERS MARKET area at the old Sonic Drive Thru from 8 am until noon. then onto ELK CITY, setting up across the street from Hutch's on the west side under the trees by the signal light form 2 pm until 6:30 pm. Oct 27th - CHILDRESS on the south side of the Courthouse Square 8 a.m. until 1 pm. NOTE: A brand new Farmers Market in CLARENDON, Texas called the "WHISTLE STOP TRADE DAYS AND FARMERS MARKET". It is every Thursday starting at 5-7 pm or until vendors sell out of veggies, etc. Located at 1211 East 2nd Street. Contact Kimberly Britten at 806.206.6815 for further info. (the old auto dealership building next to the Vet Clinic). NOTE: in CLARENDON there will be a monthly "TRADE DAYS". They are looking for vendors (crafts etc.) for their monthly 2 day event. Contact Kimberly Britten at 806.206.6815 to sign up. NOTE#1: I will go back to my summer schedule of every weekend stopping in Childress, Sayre, Elk City, Clarendon or Borger. Altus will be every Friday once the vegetable vendors start up for the summer. NOTE #2: Due to the monthly "Whistle Stop Trade Days" schedule, my own schedule will be adjusted to allow me to participate there. We are able to sell from our on site Ranch Office. Since we live in Texas you will not be having to pay Oklahoma taxes and we are offering an additional 10% off if you come here to buy. I do ask that you call my cell number (806-205-1235) to give me a heads up before you come. Reason being that Bill, my husband has been having health issues lately and is not able to help if I happen to be away from home. Hours here at home, are from 10 am to sunset. (later if need be, but you need to give me advance notice please). I will give directions on where we are located when you call to give me a heads up as to your approximate arrival. 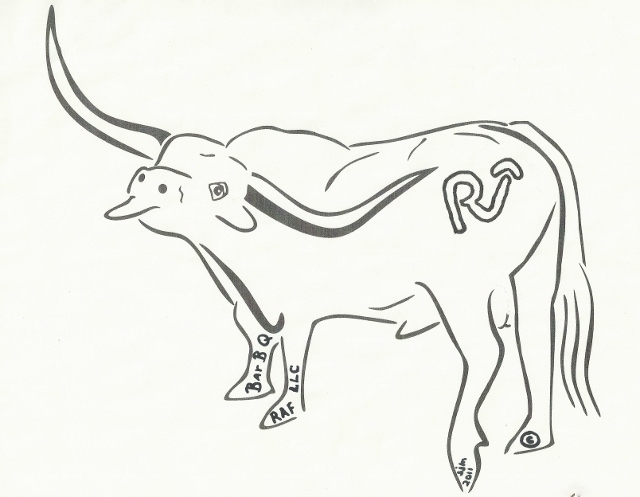 Our Registered “Texas Longhorns” fall naturally into the Select category. Did you also know that our REGISTERED LONGHORNS are a “Direct and Healthy Addition” to the American Bison, Venison and White Chicken Meat? 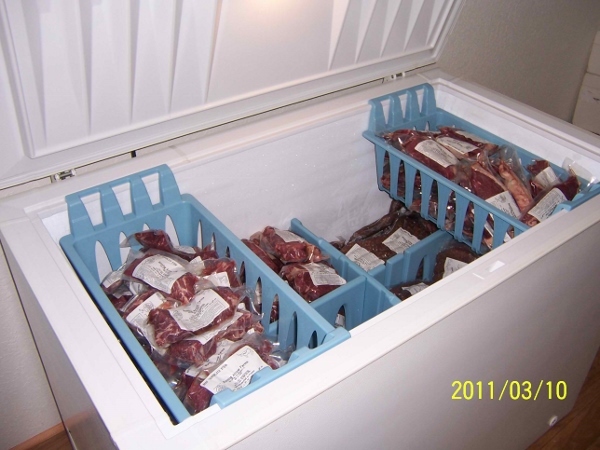 HEART HEALTHY LEAN “TEXAS LONGHORN” GRASS FED AND FINISHED BEEF: You can have your BEEF and EAT it Too!